Science Triumphs at the EPA. For Now. : EPA finds (reluctantly) that neonics are safe for honeybees :: Henry I. Miller , M.D. Science Triumphs at the EPA. For Now. In The Neonic Ban: A Scientific Fraud Becomes Enshrined In EU Regulatory Law, I described the many elements of corruption that led to Europe's recently announced ban on neonic insecticides ("neonics") which is based on the fallacy that they are responsible for a supposed collapse in bee populations. In fact, bee populations are rising on every habitable continent in the world, and have been since neonics first came on the market. So far, despite some worrisome signals from EPA early on, U.S. farmers appear tohave escaped the regulatory fate of their European counterparts. Largely unreported by the mainstream media, the agency recently released draft final assessments on neonics that reach dramatically different conclusions from Europe's counterpart agency EFSA. A few unresolved issues notwithstanding, EPA's magnum opus – 12 separate, voluminous reviews of effects on non-pollinators, human health, drinking water and aquatic environments for the four major products -- imidacloprid, clothianidin, thiamethoxam and dinotefuran -- re-affirms the critical importance of neonics to U.S. agriculture and largely refutes the claims of environmental activists. Combined with earlier, positive assessments on bees and other pollinators, EPA has now effectively given neonics a clean bill of health. As the Duke of Wellington said of his victory over Napoleon Bonaparte at Waterloo, however, "it was a close run thing." This is not because the science concerning bees and neonics was in doubt. The campaign to ban neonics was never about science and facts -- it was about politics. While the U.S. regulatory system has more structural safeguards against manipulation than Europe's -- which has practically none -- it is far from immune to political pressure. During the last U.S. administration, especially, it too often appeared that activists were calling the shots at EPA. When the EU banned neonics in 2013, the environmental movement smelled blood in the water. Much of the activist cash used to promote the false bee-pocalypse narrative in Europe was subsequently targeted on the U.S. As usual, many in the mainstream media were willing accomplices in spreading their apocalyptic narrative.Time magazine's iconic cover story, "A World Without Bees," was just one of thousands declaring that honeybees were going extinct and that we'd all soon starve to death because bees "are responsible for one-third of everything we eat" (the latter part being yet another fictitious and endlessly repeated claim). 5) the real cause of honeybee health problems is the global spread of parasites and the myriad diseases that currently infect beehives. It was clear that mere facts weren't going to matter very much, however. At the time of the EU ban, the head of the EPA office in charge of pesticides, Jim Jones, complained that the intense political pressure then being exerted on EPA would force the agency to either ban or tightly restrict neonics in this country as well. That pressure only became more intense when President Obama took a "personal interest" in bees and formed a White House Task Force on Pollinators. At first, EPA appeared to be capitulating. Neonics had already undergone rigorous assessments before they were commercialized, of course, but without any scientific justification those initial tests were now deemed insufficient, and new, more stringent standards were set up for an accelerated re-assessment. Then EPA released a bizarre and unprecedented "efficacy" study of neonicotinoid seed treatments on soy that found they had little value to farmers. That analysis was remarkable in several ways: EPA had never conducted such a study before; its authors neglected to actually ask soy farmers what they thought; and the overwhelming weight of evidence from other studies clearly showed substantial benefits. In fact, EPA's manipulation of the facts and data was so egregious that USDA issued a public rebuke to the agency! Calling the report "incomplete," "premature," and damaging to farmers, they strongly urged EPA to withdraw it. Undaunted and unrepentant, EPA started laying the groundwork to restrict or even ban neonic use on citrus and cotton, in spite of the fact that neither crop requires bees for pollination. Inasmuch as orange and cotton farmers only allow hives to be placed on their property as a favor to beekeepers, who can charge a significant premium for orange and cotton blossom honey, it seemed as if EPA was punishing the farmers for being good neighbors. Moreover, neither crop would survive without neonics, as EPA knew full well. Neonics are Florida orange growers' last line of defense against the Asian psyllid that carries citrus greening disease, an incurable infection that has already slashed Florida's orange production by 70 percent over the last 20 years. The loss of neonics would be just as devastating for cotton, collapsing the industry and turning cotton-dependent communities throughout America's southeast into ghost towns. Talk about the "Deep State" conspiring to injure the nation's economy. If nectar brought back to the hive from worker bees had more than 25 parts per billion of the chemical, "there's a significant effect,' namely fewer bees, less honey and 'a less robust hive," said Jim Jones, EPA's assistant administrator for chemical safety and pollution prevention. But if the nectar chemical level was below 25 parts per billion, it was as if there were no imidacloprid at all, with no ill effects, Jones said. It was a clear line of harm or no harm, he said." Levels depended on the crop, Jones said. While nectar of cotton and citrus fruits were above the harmful concentrations, the levels were not harmful for corn — the nation's top crop by far — most vegetables, berries and tobacco. Other crops weren't conclusive and need more testing, including legumes, melons, tree nuts and herbs. 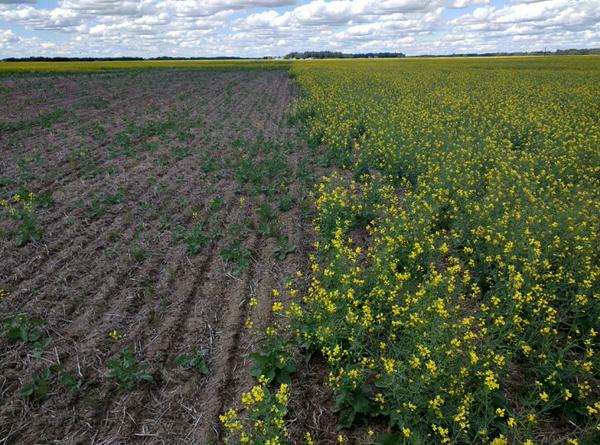 Given that crop residues from neonic seed treatments fall far below 25 parts per billion – usually between undetectable and the low single digits -- it was becoming clear that there simply was no scientific justification for a widespread ban. The recent draft assessments should cut off the last hope the activists have for significant restrictions. Effective reversals on restrictions of neonics on cotton and citrus acknowledge how critical these chemicals are. And on soy, EPA essentially issued a mea culpa, admitting that seed treatments are critical to crop survival in much of the United States. Interestingly, Canada's EPA-equivalent, PMRA, issued a parallel briefing in December on its long-awaited review of neonics' health, safety and environmental risks in Canadian agriculture. In spite of intense lobbying by environmental activists in Ontario and Quebec for an outright ban on neonics, PMRA found that nothing more was justified to cope with a handful of minor and isolated risks than to prescribe a few targeted mitigation measures. That will likely be EPA's final finding as well for the few unresolved issues that remain concerning birds and aquatic systems. For now, neonics are OK in the United States. But how long will this last? Central to Europe's regulatory dysfunction is the so-called "precautionary principle," which as I've written about before, is neither a principle nor truly precautionary. By writing into law the idea that hypothetical (and often, imaginary) threats are more important than actual evidence, the EU has fundamentally abandoned the field to the activists, who are masters at whipping up public hysteria over imminent crises, even if, as with the bee-pocalypse, they're entirely fictional. In the United States, by law, EPA regulation must still be based on science. Unfortunately, the activists are becoming increasingly adept at manipulating the process, producing junk studies by the boatload, continually pushing for relaxed evidential standards (such as greater reliance on easily fudged epidemiological studies), and proposing ever more novel theories of environmental and biological harm. Science-based regulation can't withstand political pressure forever if it's intense enough. It would be naïve to think that we would be where we are with neonics if the 2016 presidential election had gone differently, or that regulatory policy couldn't deteriorate if the House and/or Senate majorities were to switch next year. For the time being, science is winning this battle, but the best we can say going forward is that it will continue to be a "close run thing." Henry I. Miller, a physician and molecular biologist, is the Robert Wesson Fellow in Scientific Philosophy and Public Policy at Stanford University's Hoover Institution. He was the founding director of the U.S. FDA's Office of Biotechnology.